FRANKFURT (Reuters) -- General Motors Co.'s European arm Opel/Vauxhall expects to get by the end of May a final response from the German government to its request for aid, initially amounting to 1.5 billion euros ($2 billion). "We have been given an indication that they (Germany) hope to give us an answer by the end of this month," Opel CEO Nick Reilly told reporters on Friday on the sidelines of a meeting hosted by the American Chamber of Commerce. Having secured aid pledges from other European countries with Opel plants including the UK and Spain, Opel would now need a somewhat lower amount than first targeted from Germany, where the unit is headquartered and employs half its 48,000 workers in Europe. "We have a reasonable idea how much in guarantees we would get from other countries and we indicated that to Germany. So it might be a little less than the 1.5 billion," Reilly added. 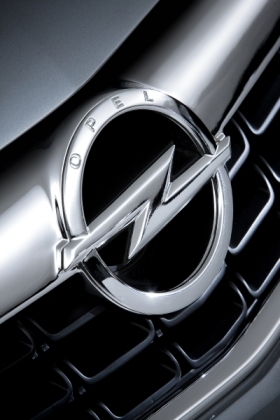 The German Economy Ministry said on Friday that the committee responsible for state guarantees would meet next week to discuss aid for Opel. The steering committee and council need to discuss the aid before a decision could be reached, a ministry spokeswoman said. GM last year drew the anger of European governments and workers when it scrapped plans to sell Opel and UK sister brand Vauxhall and asked the countries with Opel/Vauxhall plants to contribute to the cost of returning the carmaker to profit. Germany -- asked to provide the lion's share of aid -- had been cool to the idea of directing taxpayer funds into Opel after GM abandoned a deal with Canadian auto parts supplier Magna International Inc. that German Chancellor Angela Merkel had helped broker. Reilly said the European car market was not as bad off as he had previously expected, giving Opel a "good chance" to break even next year and make decent money in 2012. "The market is weak, but not as weak as we thought," he explained, adding that he had added about 500,000 units to his forecast for European car demand in 2010. That means now sees Europe new-car sales falling by 1 million units rather than 1.5 million this year.